The Monoids have taken over but we are still broadcasting. 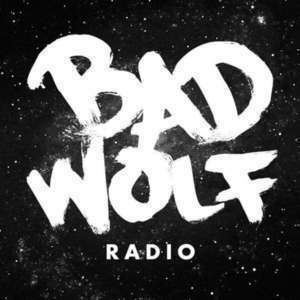 Enjoy a brand new episode of Bad Wolf Radio. The Tenth is travelling again. We talk about David Tennant hitting the US convention scene and how much we'd pay to meet him. Listener feedback. We got a couple more messages and we read them on the show. Five minutes of Danny Pink. New Titan vinyls are coming in August and we talk about which ones we'd buy and where we'd place poor Danny. Also Adam thinks we need to change our intro. Which episode of Doctor Who has had the most formal complaints filed about it? Adam let's us know. More Ninth Doctor! A new comic series is coming from Titan in April. 700 years is a long time. We discuss the Classic Doctor Who adventure "The Ark."